Do you have a program, but need a venue? We have the perfect place! Our season is June through August. Leases are available by month or for the entire summer. Multi-year leases available. Run your group’s program in a beautiful mountain setting. A cool mountain stream runs through the property. We have brilliant night skies with bright star views. Enjoy cool summer weather at 8,000 feet elevation. You’ll have exclusive access to our campus and full autonomy over your program. 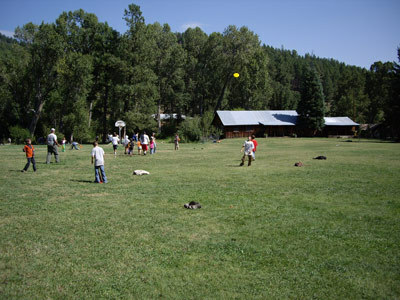 We have cabins to house up to 80 people, with additional room for tenting on the lawn. 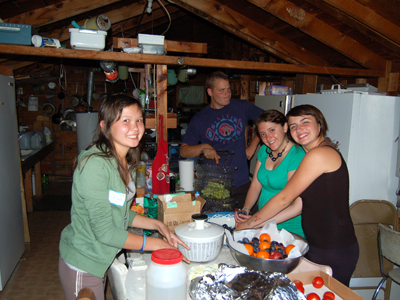 Our bunkhouses hold about 20 people and our smaller cabins are suitable for leadership and staff. We have a central kitchen where you can prepare all your food and areas to meet indoors and out. We are located in the mountains outside Las Vegas, New Mexico. We are 90 minutes from Santa Fe. View a map here. Call or email us for a fee tour. Pricing available upon request. Download a map of our campus with bed counts here. Dining lodge seats 65 persons on a classic pine floor and hand-made furnishings. More seating available on the comforable shaded porch. Full-service kitchen includes a large gas stovetop and double oven, refrigerators, and all cooking implements for large meals. Recreation Hall suited for group meetings, presentations, dances, and other social activities. 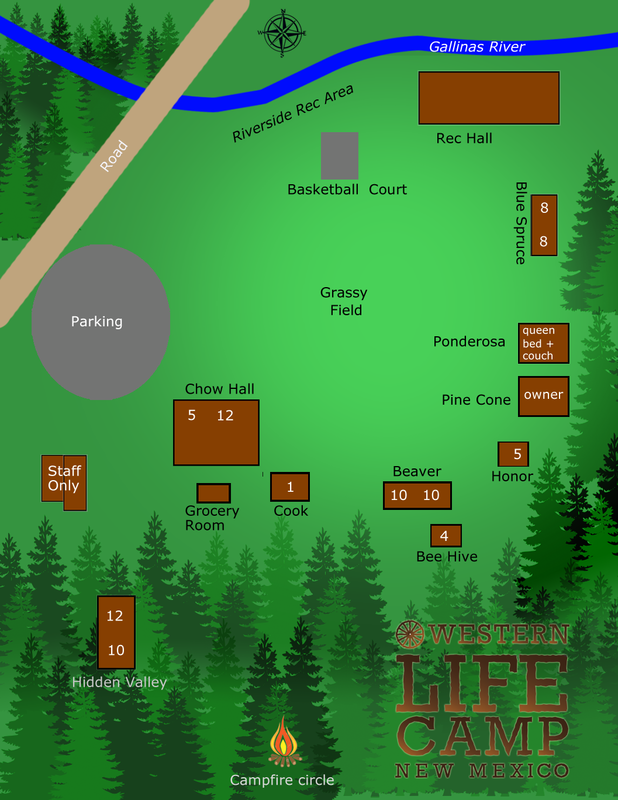 Each of the three largest bunk cabins (Blue Spruce, Beaver House, and Hidden Valley) has 18-20 bunks, two sinks, two commodes, and two showers. There also are at least 14 bunks available on the second floor of the Dining Lodge, and it has one sink, one commode, and one shower. 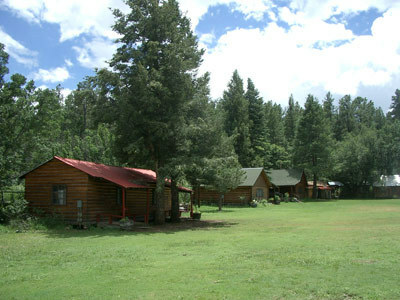 The Ponderosa, Honor, Beehive and Cook cabins have smaller capacities. 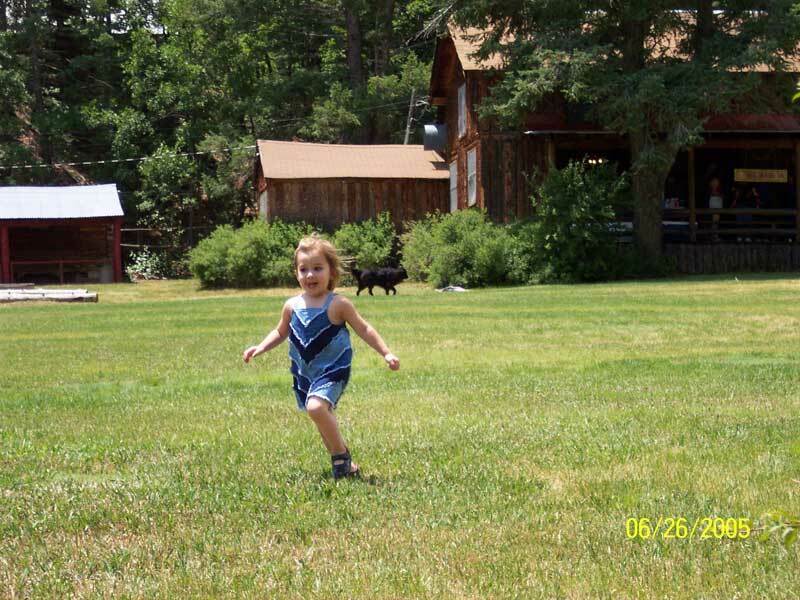 Our eight guest cabins, surround a 1.3 acre grassy lawn. Cabins include restrooms and private showers.